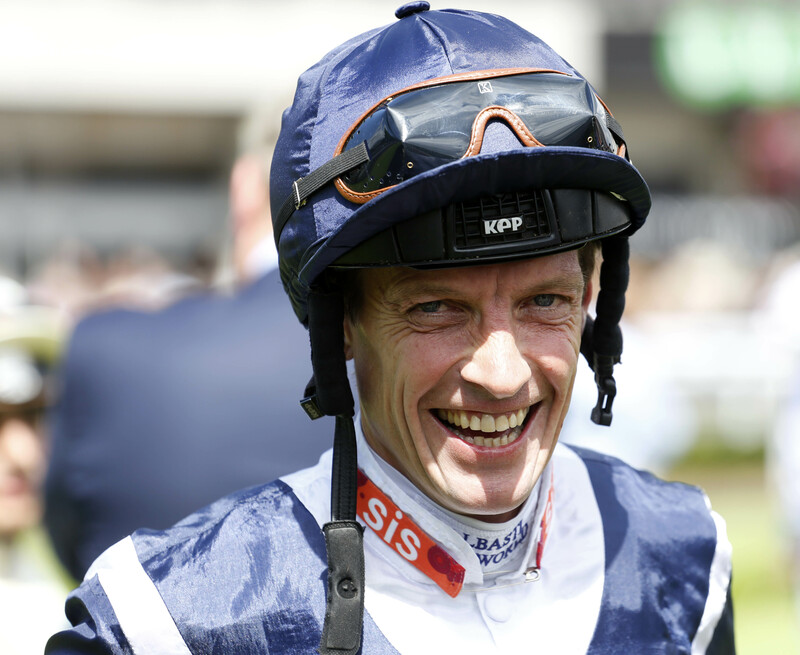 Richard Hughes is ready to embark on a new career as a horse trainer. Pic Dan Abraham-racingfotos.com (Courtesy of Great British Racing). Both flat and national hunt racing will have new champion jockeys this season following the retirement of reigning flat champion Richard Hughes at Goodwood on Saturday. Hughes called time on his superb career in the saddle one day shy of 27 years since he rode his first winner on Viking Melody in a maiden race at Roscommon in Ireland on August 2, 1988. The 42-year-old added more than 2600 winners in the intervening years that include victories in the Qipco 1000 Guineas on Sky Lantern and the Investec Oaks on Talent in 2013, along with winning the flat jockeys’ title for the past three seasons. Hughes is in the process of setting up as a trainer from stables in Hampshire and despite not riding a winner on his last day as a jockey said he enjoyed the day. “I wanted a winner, but it wasn’t to be,” Hughes said. “I’m overwhelmed by the whole thing – it’s been brilliant. When I pulled up [on last ride on Fox Trotter] I just felt ‘well this is it’. I enjoyed the ride and it all went to plan apart from failing to win, but I’m ready to retire and delighted to go out on such a high. “It was unbelievable to be led in front of the crowds. A couple of months ago my kids said on McCoy’s retirement day, ‘Are you going out like that?’ and I said ‘No way’, but it was nearly like that. “I’ve had enough winners in my career and one more wouldn’t have made any difference to a reception like that. I would like to thank Goodwood, who would have moved houses for me and I’m very grateful. A lot of jockeys retire in a hospital bed and I feel very lucky. Hughes’ retirement follows that of champion national hunt jockey Tony McCoy who retired in April after winning the national hunt jockeys’ title for 20 successive years. McCoy set the standard throughout his sublime career that included becoming the first jockey to ride 3,000 and then 4,000 winners. A brace of Cheltenham Gold Cup winners and a Grand National were amongst those victories and McCoy paid tribute to flat champion Hughes ahead his last ride at Goodwood. “Richard has been a fantastic jockey and we have been great friends for many years,” McCoy said.